What is Minecraft? That is a very common question I get from friends. Even I asked that question just about a month ago. There are so many Youtube videos about them, my kids and their friends are talking about it too. I could not understand the appeal and no one seem to be able to explain to me what it was. I have to figure it out myself. Then came Minecraft: The Story of Mojang which is actually available for free on Piratebay as the producers uploaded it there themselves. This documentary started as a Kickstarter project and I think the outcome is really great. 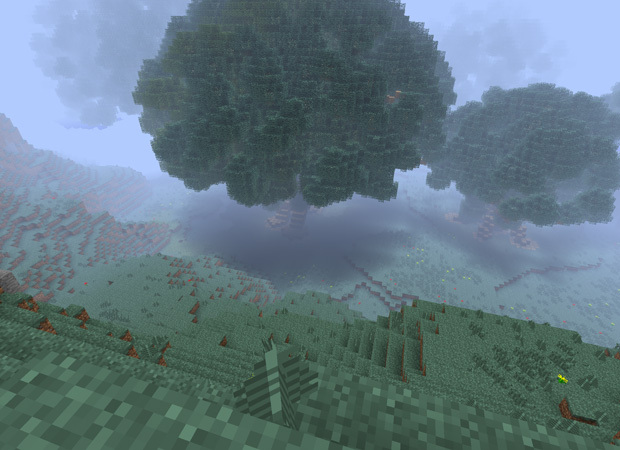 After having some understanding of what it is, I was totally blown away at the impact it will leave with this generation who are currently playing Minecraft. I’m in my mid 30s now and Lego was a huge part of my childhood, but I have to say Minecraft will have a way larger impact to this current generation. 10 – 20 years from now, people are going to look back at how Minecraft have been so much of their childhood that I feel it would make Lego seem like toys for really really young kids. I’ve played the single player mode for a while and got hooked. At the start of the game, you spawn at a random place. It could be in a jungle, a desert, a town, etc. then when night falls, monsters come out at night, so you’ve got to find shelter and protect yourself. 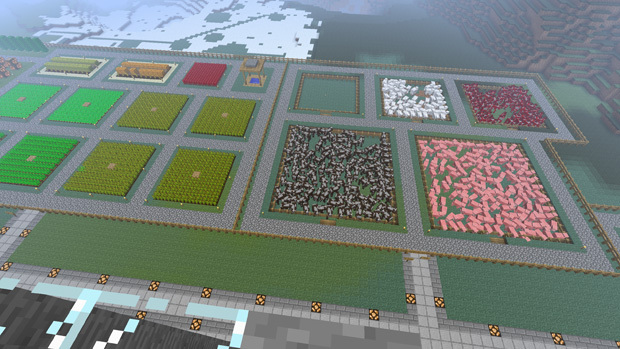 The following video will give you a quick experience of what it is like playing Minecraft for the very first time. Seeing people playing minecraft in a group, I then tried to find out more about multiplayer mode and Googled for “Minecraft Singapore” and found websites which listed out multiplayer servers across Singapore. 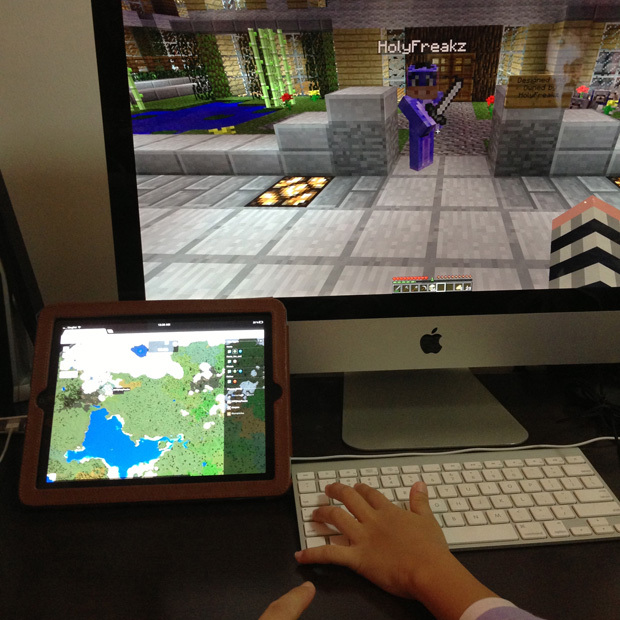 I ended up joining Sudden Dawn together with my daughter Cleo who is super into Minecraft. When we joined the server, our character spawned in an amazingly beautiful town (comparatively when playing single player as there are no major towns there). Immediately there were rules to read and we read them one by one. Kinda cool as I knew these were all user generated and not some computer default, so curiously started exploring around. Apparently it is recommended for us to join a town so I asked on the public chat on where would be the nearest town. 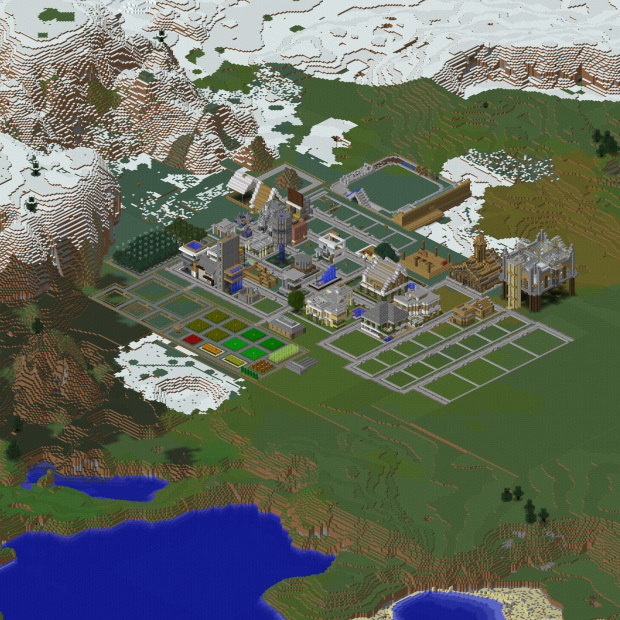 Almost instantly, we were warmly welcomed by a user named HolyFreakz to go check out his town DawnValley. He gave us the tour of the town and showed us the farm they have built, houses in the town and generally showed hospitality. I then decided that we should join this town and learn more. 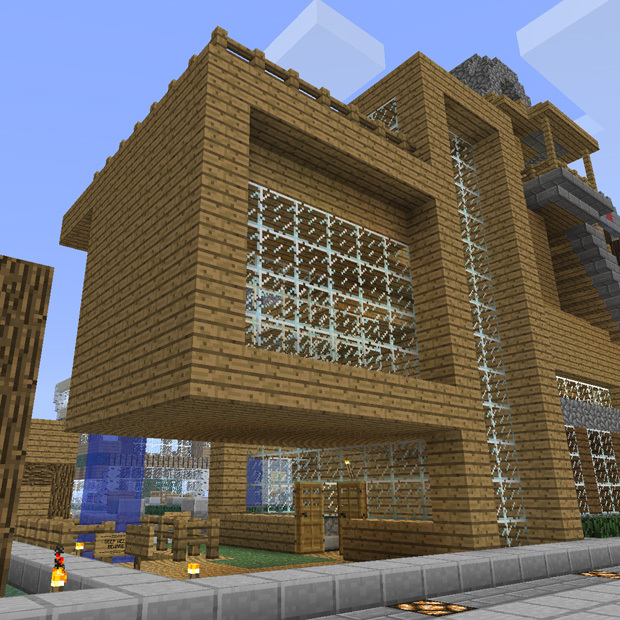 The town had a Modern design theme and we started on building our very first house in multiplayer mode. I asked around to find out who owns the server and its WurmpleAss who owns it. I manage to get both of them to take a group photo for this blog post. lol. I think this is kinda funny. 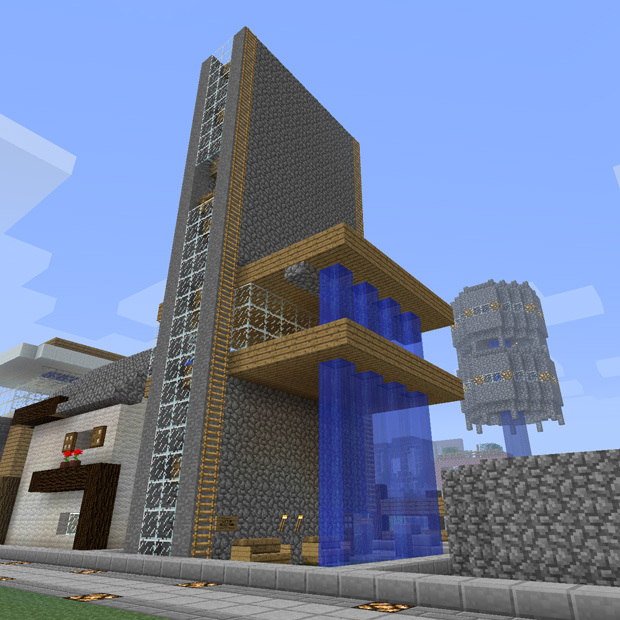 This is the very first house and my inspiration was from Bauhaus Architecture. Bold shapes, clean lines, functional. 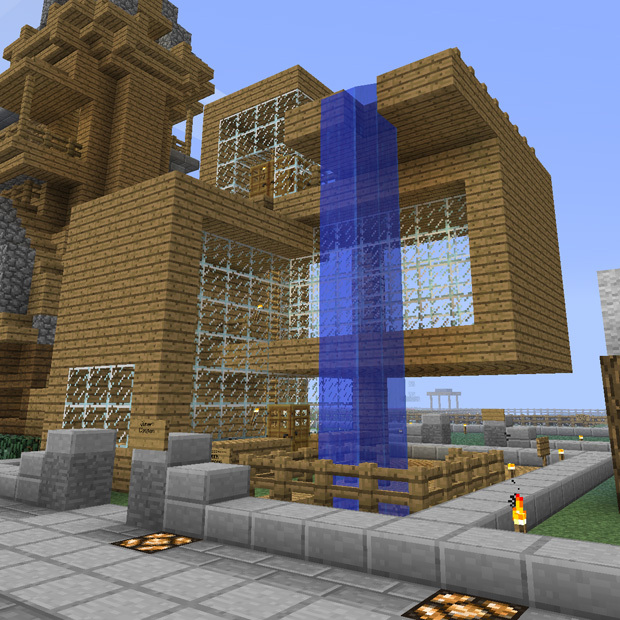 I have to say, I’m quite pleased with our first proper house. At this point, the account we are using is registered under Cleo’s name and I decided to hand over this house to her and get an account myself. So technically this is Cleo’s house now. 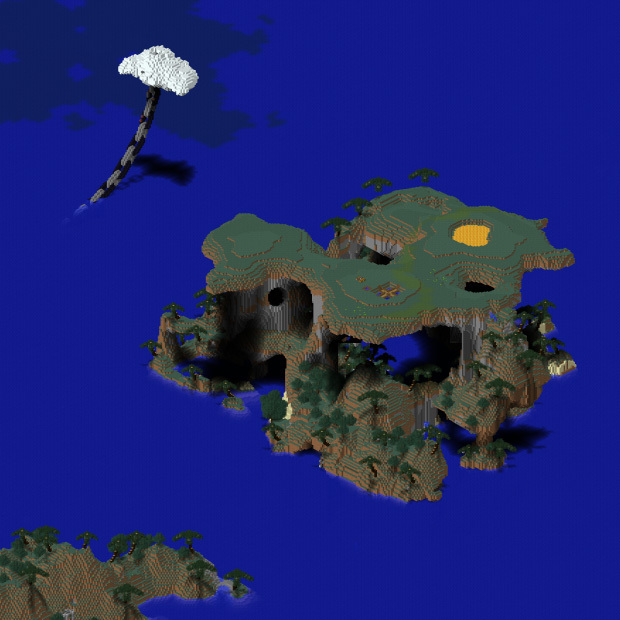 As this multiplayer server is hosted by WurmpleAss, he added a Dynamic Map tool to allow users to see the entire map and this is extremely useful as that allowed me to figure out where I would like to explore and go for adventures. There are kinda crazy things everywhere. Clouds anchored by chains to the sea, giant trees, meteor sites, floating islands, frozen underwater chambers, giant sea serpents, etc. Here are some cools stuff that I manage to see. While exploring, there are lots of deep caves and surprises. There are zombies and skeletons in the caves and even lava flowing in underground chambers. 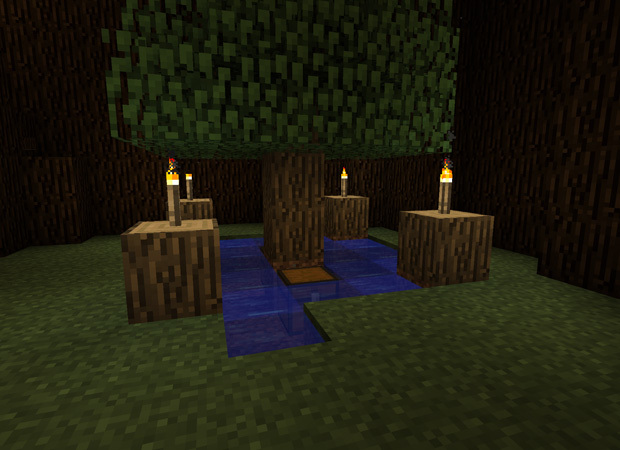 The prize is when you find a chest with treasure and I feel such a huge sense of achievement when I discovered two treasure chests at the foot of a tree which happens to be in the trunk of a massively huge tree. There are lots of other stuff you can do as its a Sandbox type game. Actually the term “game” itself kinda start to feel inappropriate. It’s kinda hard to explain and maybe you need to experience it for yourself. 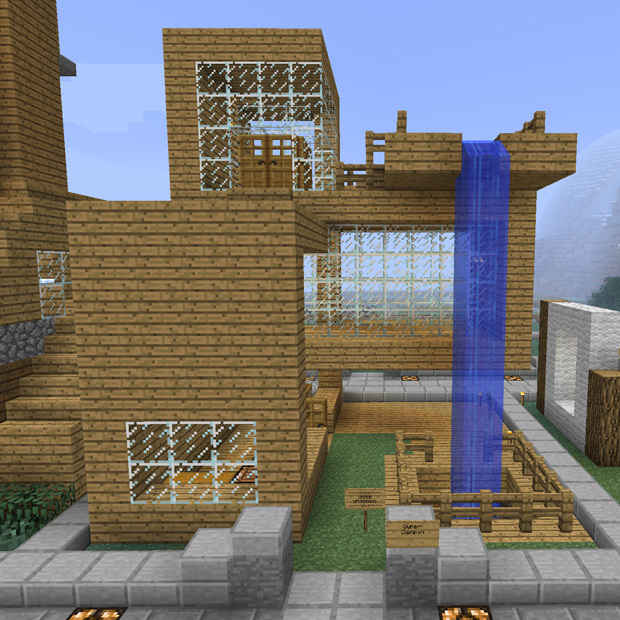 I started embarking on my second house and as my plot of land (12 x 12 blocks) is kinda in the middle of town, I decided to build high. Very happy with the outcome. Out at the top of my house, you can have a great view of the town. And on the roof, its also a perfect spot to see sunsets and moon rises. So if you are looking at joining a Server in Singapore, do check out suddendawn.sg and I’ll see you in there sometime. Here is a trailer the admins have put together and see if you can spot Cleo mining for Diamonds in her Rainbow Dash Skin. 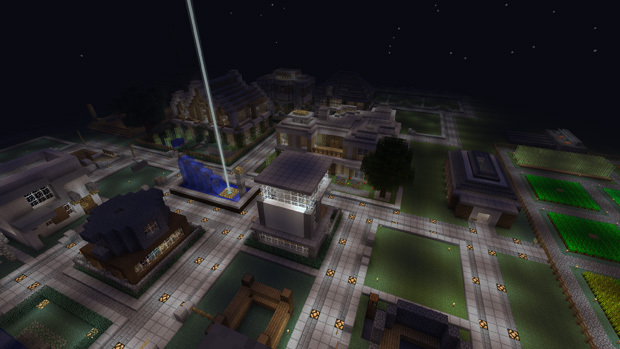 If you do join the server, so drop by and check out the town DawnValley and see if you can find my house. 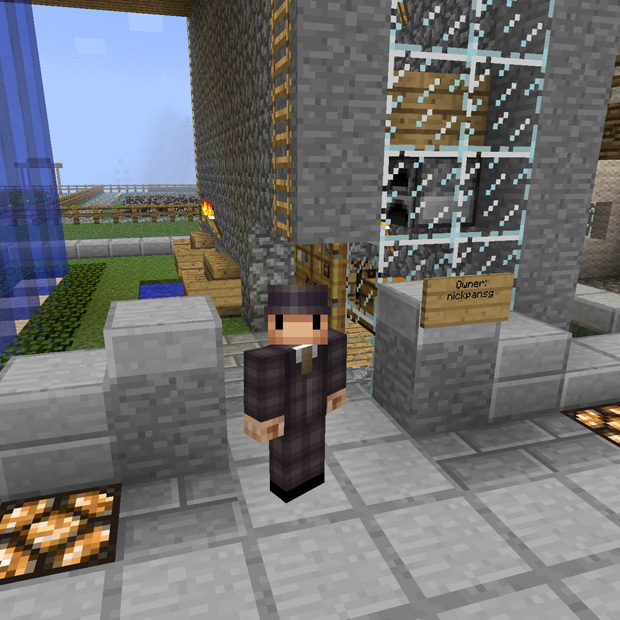 Just in case you are looking out for me, here is me standing outside my house. 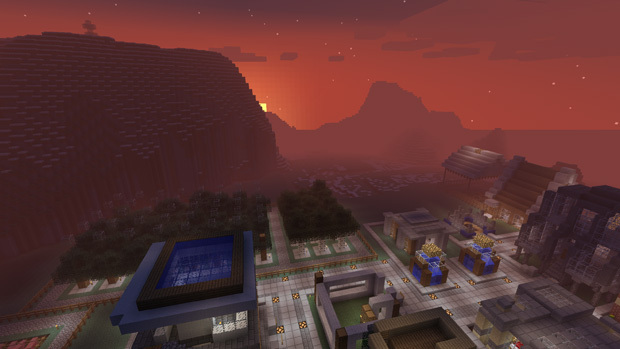 Hope this post helps you better understand Minecraft and why its kinda a big deal in this generation. 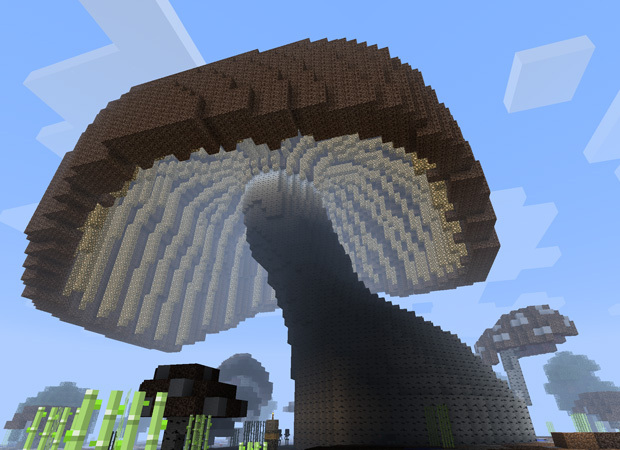 You can buy Minecraft at Minecraft.net and you will be glad you did. Nicely written, you just earned yourself a new reader! OT: Hey man. I sent you an email. Hope to hear back from you! Nice post. I had the same experience when I joined the server, with all the hospitality and stuff. 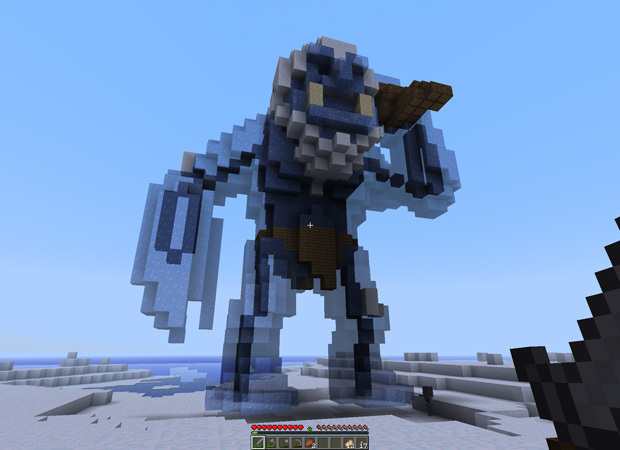 Would like to agree on your opening observation on how minecraft is going to be the new lego. In fact, I think it will be much bigger than lego in the near future. It is much much more affordable, requiring less to make more, allowing people and kids to play on their creativity, without great financial issues. While visiting relatives during the last CNY, my nieces, nephews and younger cousins were crazing over the game, especially on the mobile versions, even though they did not fully grasp the in-game concepts. Such curious excitement definitely shows what the game can do! 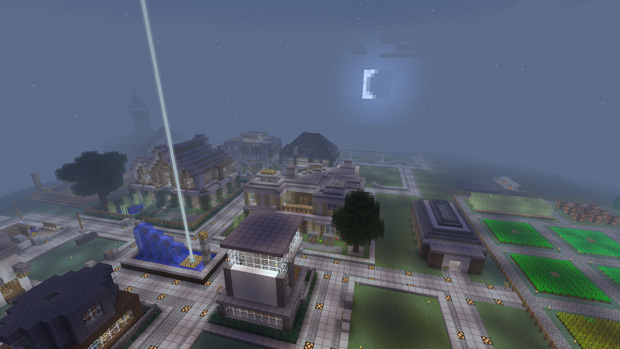 It might interest you that collaborations such as http://minecraftedu.com and http://minecraftinschool.pbworks.com have realised the potential of such remarkable software, breaking away from the traditional, industrial-nature of modern schooling.